The selection of Product of the Year coincided with the biggest story of the year: the removal of kombucha from Whole Foods Markets nationwide due to potential alcohol content. While the story was one that covered a negative impact on yearly revenues for the companies involved, what it also revealed was an undeniable positive: the devotion of the consumers of GTs Kombucha. In fact, many GT loyalists considered this disruption of their supply just about the worst thing that could happen to them – something that they expressed both through social media and, in late summer, by a kind of frenzied state-to-state search for a few bottles to get them through. 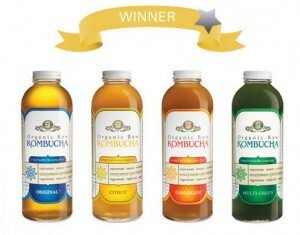 The connection to its devoted and diehard fan base is just one of the reasons that GT’s Kombucha is our 2010 Product of the Year. On the product front, the brand breaks from the norms of the beverage industry on so many levels, including its staggering 27 varieties, its required refrigeration, complicated fermented flavor, low level of alcohol, probiotic content, and price point, but it does it exceptionally well, both in terms of packaging and flavor. It also leaps over “need states” as a product that consumers are drinking, en masse, at almost every time of day. That’s something that products in many other categories, such as CSDs and energy drinks, have struggled to do. Ultimately, if you are in the market for kombucha, it’s a brand that’s hard not to fall back to – they certainly have a flavor in there somewhere that you’ll like. From a marketing standpoint, the devotion of the fans has helped to “cloudsource” the consumer education standpoint. It’s a powerful viral – as well as bacterial – brand.